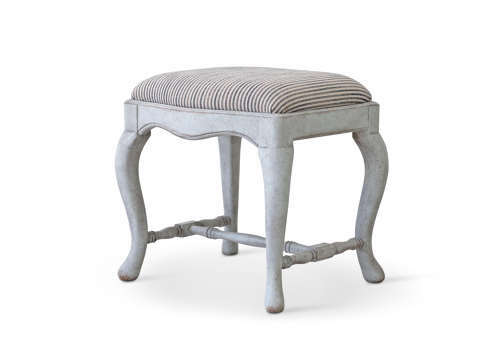 A bespoke Baroque stool or tabouret with beautiful curved cabriole legs, faithfully reproduced by Swedish craftsmen. Available in a range of authentic Swedish hand painted antique patinas. Upholster in a fabric of your choice.